Asynchronous Turn Based System: The player plays and after it finished each enemy play its turn. This is the most classic technique used in lots of games (NetHack, Moria, Dungeon Dashers, and …etc). Synchronous Turn Based System: The player plays at the same time of the enemy. The system resolve the collision by some precedence. Some games adds a speed parameter to have different enemies. Every enemy or npc move related to the player so if he is slower this means he might take more than 1 turn to move but if he is faster than the player he might be moving two tiles with every one player move. For example Cardinal Quest and Super-W-Hack!. Real Time System: Everything runs at each frame. Everything is continuous and running smooth. The collision happens at each frame. For example Nuclear Throne, The Binding of Isaac, Spelunky, and …etc. Real Time Synchronous System: This is the system he was talking about in his game. The player move in tile based and when he is moving everything else work in real time (enemy bullets can be avoided). For example Rogue Space Marine. Bullet Time System: The game move in real time till enemies come near then the game goes in bullet time. 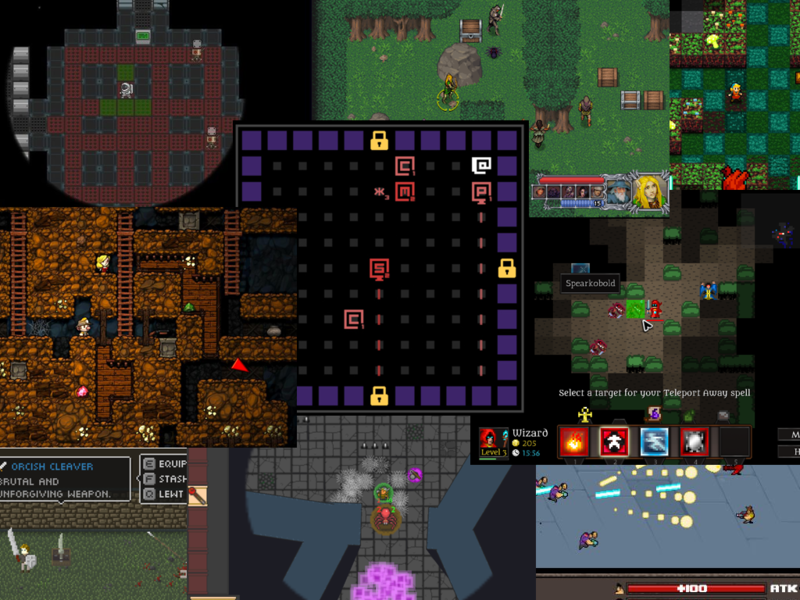 Right now there is no roguelike use this system but it would be amazing if some one used it. The current game used it is SuperHot. Physics Based Turn System: The player move with a speed and the turn ends when the physics stops simulation. For example Billiard Dungeon. Real Time Pause System: Everything runs in real time and if the player didn’t move nothing move. For example The Spooky Cave. Real Time Rhythm System: Everything moves on a rhythm if the player didn’t move enemies will move. Missing the rhythm make enemies move while player is still at same location. For example Crypt of the Necrodancer. Real Time Slot Pause System: The game is totally paused where the player can make all his decisions then the game turns into real time for a fixed time slot. The only game that used that is not a roguelike but it would be cool in a Roguelike. The only game is The Random Encounter. Time Accumulation Synchronous System: The game saves the amount of time the user not doing his turn and when he plays it repeat the action for the this amount of time. It seems weird and complicated but we might make maximum of the saved time. Its not done before and I would love to try doing it at one day. But if this system is used to penaltize the player it might be similar to Real Time Rhythm System (when not doing anything the game penaltize the player by moving the enemies). These are all the systems I can think of that can be used in roguelike games. I think I need to organize it and make like 2D matrix for the different parameter that can be mixed. This entry was posted in Article, Design, Research. Bookmark the permalink.